This article focus to explain Organizational Investment Management. The organizational Investment management process fundamentally contains deciding how and where to invest the funds. Furthermore, it comprises of either or perhaps both fund organization and also collective investment management. By carrying out efficient asset management and meeting various investment goals, the organization meets the expectations in the investors. 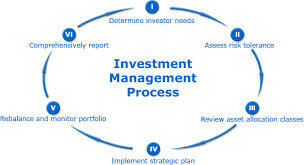 The briefly explain some Investment Management related questions, like: What is the investment administration process, why investment management and career in investment management.